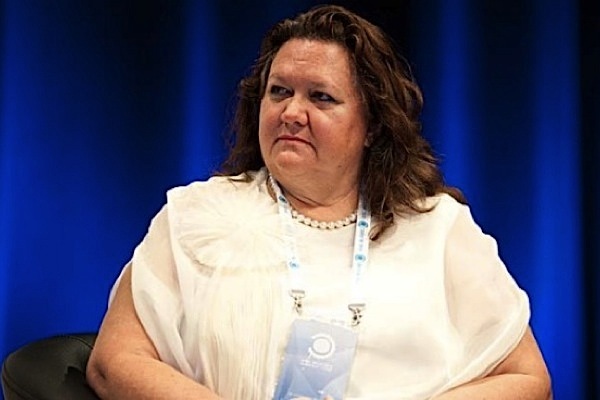 Australia's wealthiest woman and mining tycoon, Gina Rinehart, has won an appeal in the country's high court, which forces Rio Tinto (LON:RIO) to pay her royalties from two iron ore mines in the Pilbara region. The royalties were part of a deal made when Rinehart's father, Lang Hancock, and his partner Peter Wright sold the Western Australia’s mines Channar and Eastern Range to Rio, back in 1970. Under that deal, Rio Tinto had agreed to pay 2.5% on iron ore sales from the two properties. The mining giant argued later that its subsidiary Mount Bruce Mining was not liable to pay royalties, as the two mines were not continually in its possession for the period, which prompted a lengthy court battle. Australia’s High Court, however, ruled unanimously Wednesday that Rio Tinto was indeed liable, adding that the firm will have to pay more than $200 million in royalties and court fees. Lower courts had also ruled in favour of Hancock Prospecting and Wright Prospecting, ordering Rio Tinto to pay $130 million in unpaid royalties, plus interests. The amount was later reduced in an appeal to $89 million in royalties for the Eastern Range Mine only, prompting the High Court challenge. Last month, a Queensland court handed Rinehart a victory in her battle to establish a new coal mine in the Galilee Basin, despite fierce opposition from activists. The company, GVK-Hancock, claims the development of the Alpha Coal Project will create 5,000 jobs during construction and about 2,000 long-term jobs during its 30 years or more of operation. Hancock and Wright pioneered iron ore exploration in the Pilbara region in the 1950s and '60s. They teamed up with Rio, which gave them access to a private railway to carry ore from the town of Paraburdoo to Dampier, which had a private port.